I worked with the National Trust’s learning officer at Tyntesfield (in conjunction with the North Somerset Find Your Talent initiative) to devise and deliver a workshop over 3 sessions at the house and estate. The participants were Year 6 children from Ashcombe Primary school, and GCSE Photography students from Westhaven special needs Secondary school who were to mentor the younger pupils. The older students came on their own for a first visit to see the house and gardens, learn about some of the history and take photographs of their own, but with our support they also planned how they would guide the younger pupils round the house and estate on the following visit and help them to use cameras to create a ‘portrait’ of Tyntesfield. Through my own research on the house and gardens I came up with a number of scenarios where the older students could help the younger children imagine themselves in the role of someone who had lived or worked at Tyntesfield in the past – for example a gardener’s boy, a cook (there was a working cook at the house in the early 20thC who was over 80!) a visiting cousin, a 1920s magazine journalist, or a chauffeur. Armed with these characters the pupils were able to see this already extraordinary place in a different light that increased their observational skills. Andrew Eason’s book workshop session with Westhaven students. 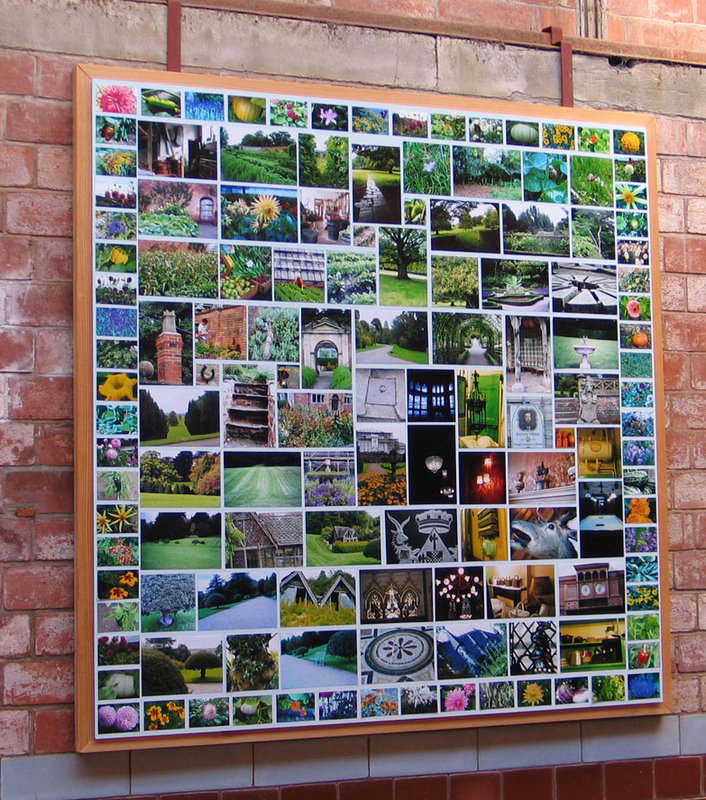 This is the completed photo montage, the digital print is displayed in The Sawmill – the education centre at Tyntesfield. This entry was posted in Design, Photography / arts workshops, Place, Ways of looking, Work and tagged education, National Trust, photo montage, Tyntesfield. Bookmark the permalink.